Ideas and tips to keep your yard and garden looking good through the heat including watering, harvesting, and garden tasks. Plus download a free printable version of the guide to see you through the summer! 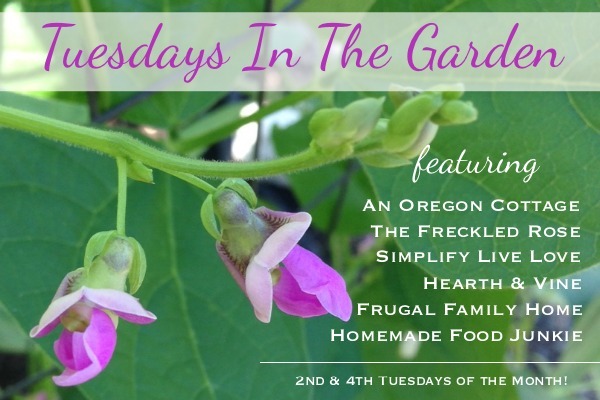 This Summer Gardening Guide is a part of this week’s Tuesdays In The Garden, with a theme of Planning for Summer. 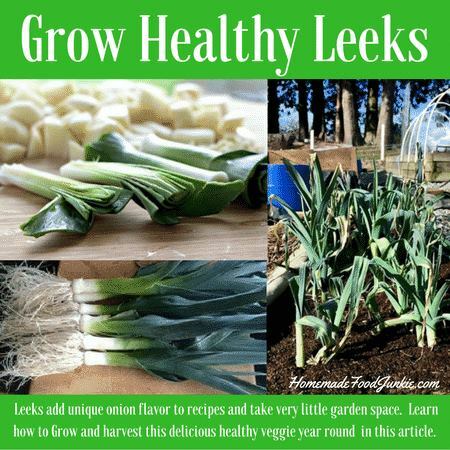 At the end of this guide, you’ll find links for how to grow leeks, have a garden that thrives, grow beautiful vegetable gardens, fight weeds, and more. Enjoy! You’ve worked hard all spring, setting up your garden for easy care, maybe starting vegetable seeds, planting transplants and even a few blueberry bushes and blackberry canes (because you’ve all gotten on the Triple Crown Thornless blackberry wagon, right?). Your borders are finally all covered with paper and mulch and you’ve planted containers to last through the season for both sun and shade. Everything is looking green and growing well. Now it’s time to sit back and just enjoy it, right? You should definitely enjoy the fruit of your labors. I think we gardeners don’t do that near enough. For goodness sake, sit in that bench under the tree every once in a while with a cup of tea. Take a book out onto the porch. Invite friends for a BBQ and serve them a salad made from your harvest. 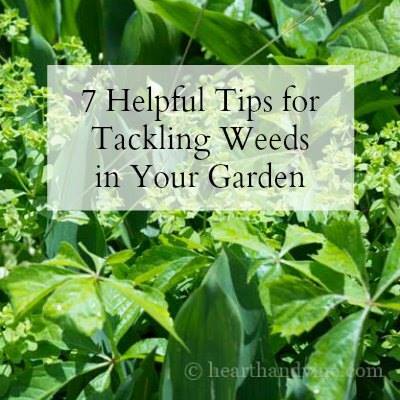 But you’ll also need to keep maintaining your yard and garden so all your hard work doesn’t wither in the heat of summer. I know I’ve been tempted to give up when the hot weather seems to go on and on and the watering doesn’t seem to end. I’ve known people who’ve let their vegetable patch go to weeds because they can’t face spending time in the dry hot garden anymore (although if they had prepared the garden like this, there would be very few weeds to deal with…). So how can you keep up and still be able to enjoy your yard? 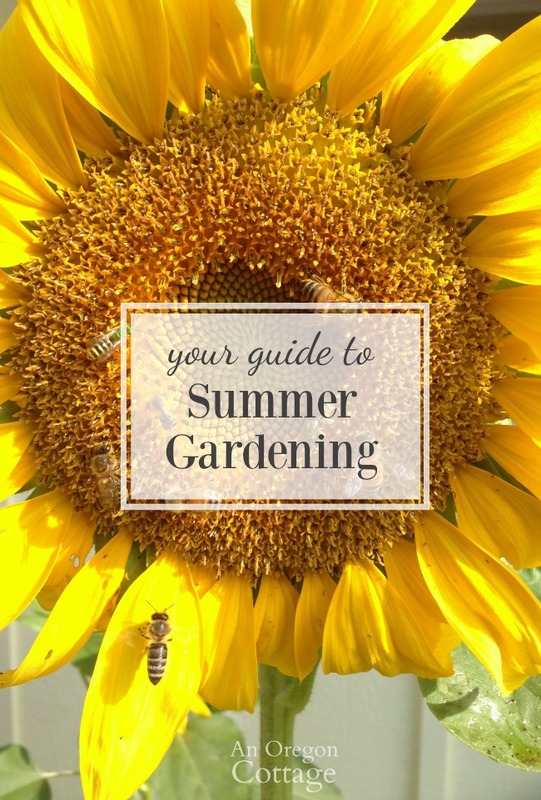 Look through these tips and ideas that can help you have summer gardening success including watering tips, the garden tasks you can be completing, how to keep pests away, and preparing for fall. Here’s to loving our summer gardens! Welcome - so glad you've joined the AOC community! Your first step is to check your email to confirm your subscription. 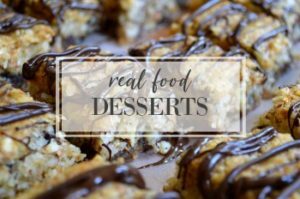 After that you will receive your email with the link and password to the VIP Subscriber Library where you'll find this download plus lots more including Dinner Menu Plans, pretty printables, organizing help, and more! 1. Five easy watering techniques that save water AND the time it takes to water your garden. 3. 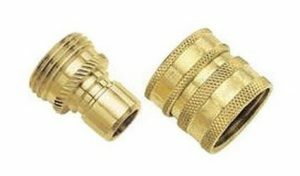 Add quick-connect ends to your soaker hoses. This makes it much easier to hook the garden hose to the soaker with just a snap (I can’t believe I watered for years before someone told me about these…). 4. Set up an irrigation system for vegetables: How to build an easy drip/soaker irrigation system to save water and time – one of the most thorough, yet clear how-tos I’ve seen for setting up an inexpensive watering system from The Denver Post. 1. 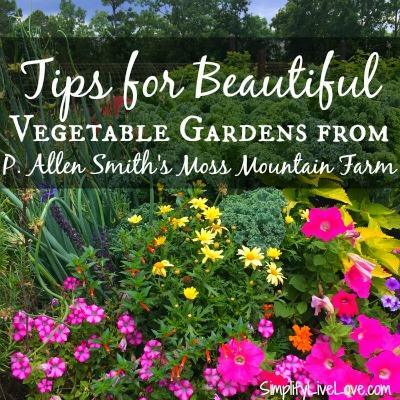 Enjoy your summer garden harvests – flowers, fruits, and vegetables. 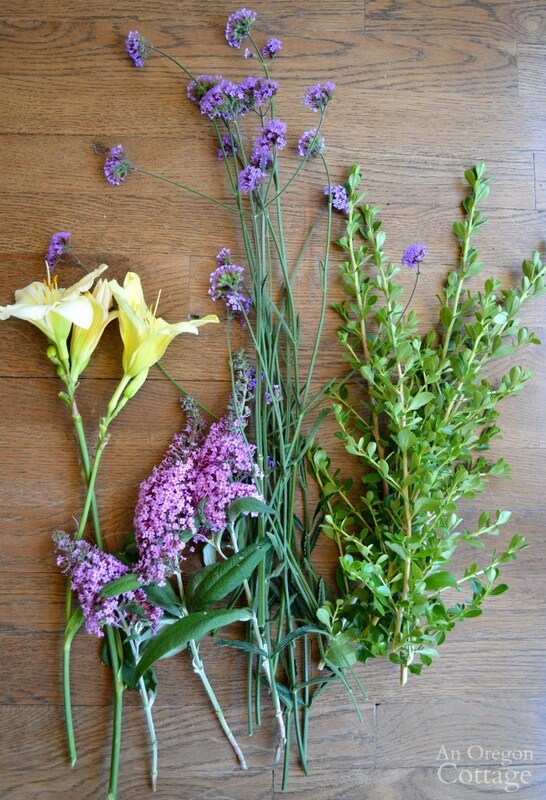 In this article you’ll find simple flower arranging tips for backyard clippings, fresh eating recipe ideas and ways to easily store your harvests for later. 2. Keep up with basic maintenance. 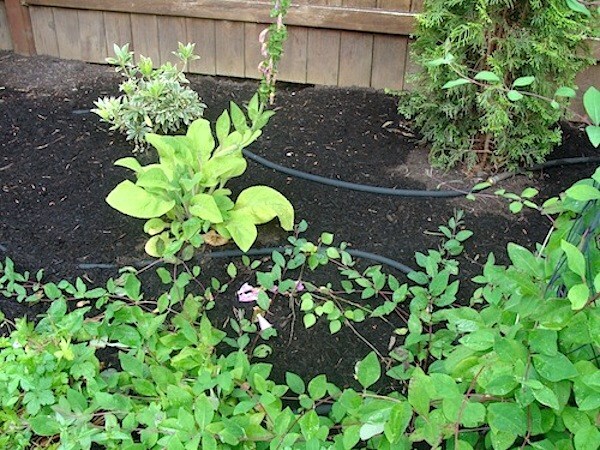 Wondering what you should be doing in your yard through the summer months? Check out these monthly task lists for July, August and September to help keep up on your garden. Just remember, you don’t need to do everything on the lists – just prioritize depending on your property and schedule and do what you can. But being educated about what you could be doing is always a good idea! 3. Use this year-around garden checklist for specifically for your vegetable garden. Again, I don’t do everything on it, just what works for me that particular year. I find it’s a great way to record and remember what I did do, though! 1. Keep bugs from your edible plants with this easy, all natural DIY garlic-mint insect spray that really works! It repels the insects enough to give your plants the start they need to grow lush, but doesn’t kill them or beneficial bugs. 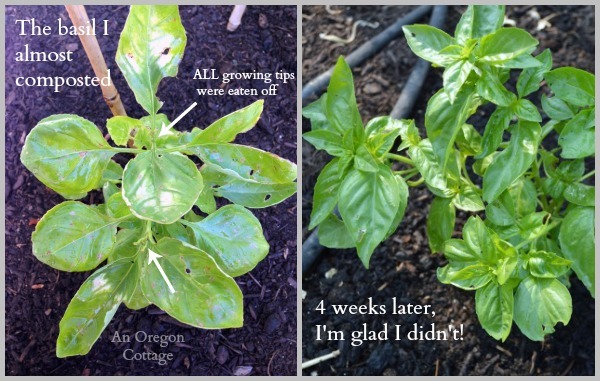 If you’re interested in this, you’ll want to check out the Garlic-Mint Bug Spray Testimonials & FAQ page, too – you won’t believe some of the results gardeners have seen with this! 2. Scare the birds aways from berries with these Dollar Store finds. They aren’t foolproof, but really did work so we could harvest most of our berries without building netted structures or dealing with annoying netting. 1. 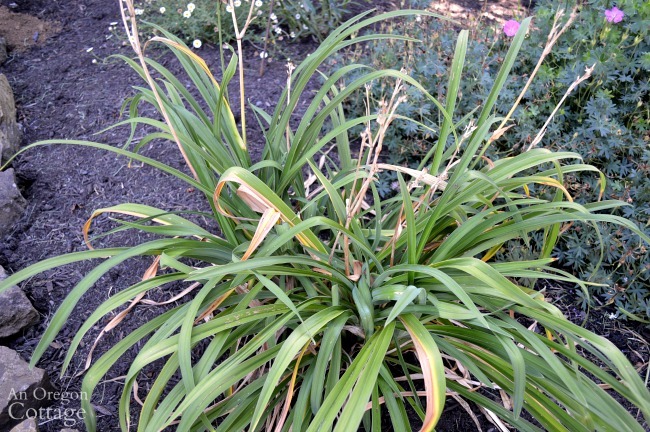 Prune and deadhead your garden in the summer for refreshed beds and fall color. 2. Boost your curb appeal in late summer with these 3 easy ways and be ready for fall. 3. 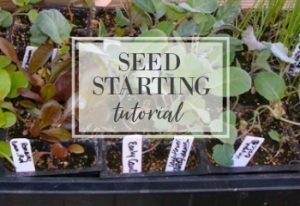 If you’d like a fall and winter vegetable garden, summer is time to plan and plant. I particularly like Territorial Seed for their excellent catalogs full of information on planting for fall and winter. I’d love to know any tips or tasks you have for summer gardening success – leave a comment below or chime in on Facebook or Instagram! Sitting down and enjoying our work should seem like an obvious thing right? I always forget to do this, and end up running around trying to fix everything. This just leads to stress, so I completely agree with you! Like you said, it’s easy to not want to weed in the heat. I try to wake up early before that mid-day sun hits hard to get some work done. Especially in July! Your monthly task lists are really helpful. I’ve printed them out, and added them to my garden binder! I really need to give the garlic-mint spray a try. Seems like an awesome idea! I watched your vole video, and I completely relate! They are my biggest chore to deal with. I have a theory the voles, groundhogs and chipmunks run a weekly meeting to conspire against my gardens. Wow Jami, Great Post! 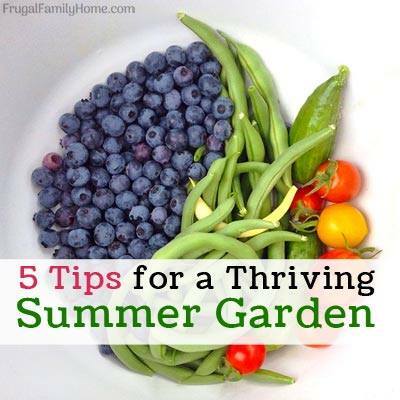 you have all the bases covered for keeping up with summer garden chores. I love the idea of those quick release garden hoses! I agree gardeners need to spend more time enjoying the lovely outdoor environments we create. here’s to sitting on a bench and smelling the roses once in awhile. Cheers! Jami, this is FABULOUS! And it’s all in one place. Blessings all over you! (And, do know that I’m praying every day for God to lead you soon to that just-right place on His Oregon to care for and enjoy!) I’m especially looking forward to the part about the basil. With the pounding down rain we’ve had during the past week (and more rain scheduled for later this week….) my basil is looking more like the “before.” I’ve got plenty of mint (if anyone has mint, they definitely have plenty of it) and all I’ll need is the garlic. Maybe I should plant some of that, too. I have — and love — chives, but with my luck, the local pests do as well. Warm sunny weather is coming. Yay! I’ve already about had it with the dry and heat and it’s only June!!! We went directly from rain and cold to 90 and furnace. Super annoying this year. I hope I can salvage something in my garden!! I have to get watering down for the first time! As I sit here in a fleece waiting for our 60 degree high, I can only sorta see your problem. 😉 That does sound like you didn’t get any good spring weather, though – bummer. I have to say your method for keeping the weeds down really has worked in our garden. Last year, I had a few clover pop up, but this year so far has been virtually weed free. I pulled three weeds today in the garden and that’s it. 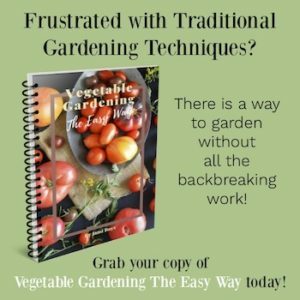 I shared your weed free garden method with friends so they can give it a try too. They were impressed how well it worked for me. I’m so bad about taking the deadheads off the flowers I really need to get better about doing that. This year I’ve been doing better with the roses now to tackle more of our flowering plants. We used to struggle with moles but my husband found a gummy worm mole killer that works great. We got rid of the three in our yard and our neighbor was successful with the ones in his yard too. They are so cute but so destructive too. Shelly, I’m SO glad to hear about your weed success! It’s always great to have a technique corroborated by others. 🙂 It was a game-changer for me, for sure. And I told my husband about your success with the gummy worm killer and we’d love a link to it – do you have one? We tried so many things (in fact I think there’s a video on that, too, that I didn’t link to in this article!). You need to put the worm bait right into a new trail they are currently using. We would dig down into a molehill that was freshly formed and drop it in. We also wore disposable gloves when handling the gummy worm bait, to keep our scent off the bait. And finally, we cut the worms in half because we are frugal and each worm is over $1. But a half of a worm worked fine to get rid of our moles. This is the only bait that has worked for us and it worked really well. It’s a little expensive but worth it. So many great summer tips. I agree that it’s always good to have a plan or you can easily get overwhelmed and all your hard work in the spring is wasted. Uggh voles are the worst. We have tons of moles in our grass that drive my husband crazy but they don’t eat my flower roots so I don’t worry too much about them. I think the hardware cloth will be a great idea. I have failed miserably to enjoy the fruits of our labor but this year I changed that and I didn’t even plant very much because we’re selling our farm. With that being said I’ve sat with our dog and enjoyed fresh blackberries and so many other neat things. 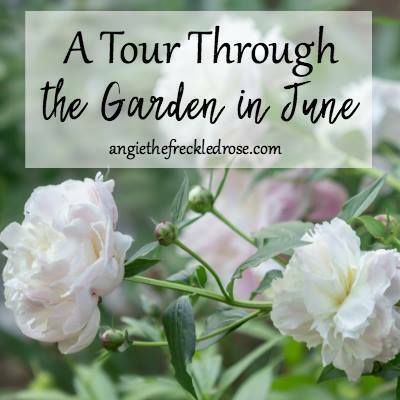 This gardening season has been about slowing down and enjoying before we say goodbye. Great video on voles, after you inserted that material were worms able to get in your beds? I’ve always went with open ground because I direct compost and with our soil down south it really helps having the worms work for us. Enjoyed this was packed with lots of helpful info. Oh, that must be a little bittersweet, Carole. I love your attitude to really enjoy the last season there. I fear I was running around so much getting our home ready to sell last summer that I didn’t enjoy it as much as I could have.